We have a multitude of models of lifting tables, single, double triple or quadruple scissors, suitable for most industrial applications: Load capacity: from 500 to 40,000 kgs. Platform dimensions according to customer specifications, from 800 x 600 to 5000 x 4000 platforms within the standard range. Switchboards from 0.32 to 20 kw. Finishes in stainless steel, with components certified for explosive environments ATEX. 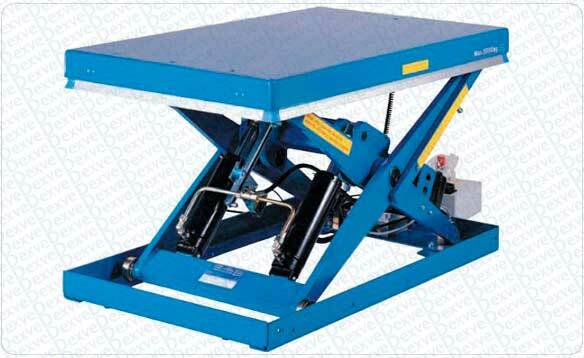 A lifting table is usually a hydraulic equipment with lifting by single acting cylinder. The engine / pump / tank assembly supplies oil to the cylinder that raises the table. The lowering of the equipment is usually by gravity, an electrovalve releases the oil from the cylinder to the tank to lower the platform. For their operation these equipments only require electrical power (usually TRI 400V). These equipments are delivered with motor (integrated or external according to models), include a simple electric panel and a standard push-button with raise / lower and emergency stop. All our equipment complies with the CE regulations. 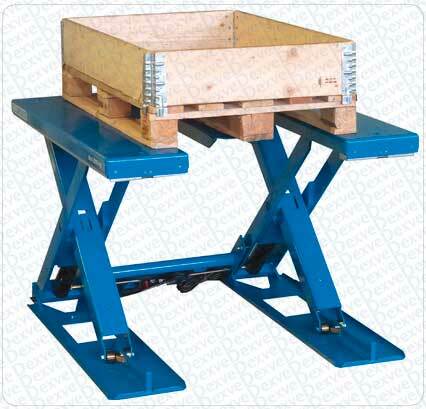 Our hydraulic lifting tables are standard or customized according to your needs. Tell us the platform dimensions, carrying capacity, travel you need and we will offer you the best quality / price product. Mostly used in installations with continuous movementof pallets, these tables are prepared to work at high cadences in continuous. Your scope of work begins when you exceed 15-20 hour cycles in one or more daily shifts. For more information do not hesitate to contact us. As an alternative to column elevators, these equipment allows the connection of floors with large sizes of platforms. Depending on the characteristics of the location, these tables may be suitable for floor connection applications. As an option, we supply and install perimetral enclosures and doors with interlocking system that complete the safety elements required by current European regulations for vertical paths More than 3 meters. For more information do not hesitate to contact us. Large platforms with minimum noise level and maximum reliability. We have realized installations of several tables with simultaneous control in ascent and descent in theaters and great scenarios.For more information do not hesitate to contact us. These are the most demanded tables for manual palletization at the end of the line in cases where pallets are handled with pallet trucks and do not want to make a pit. 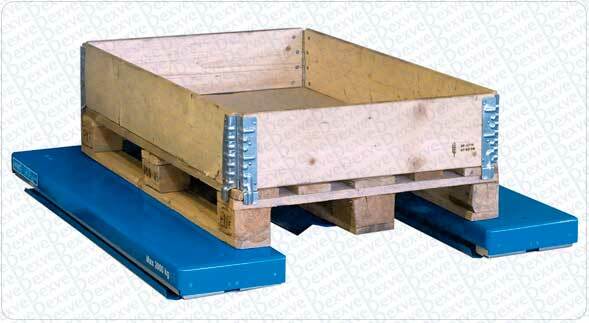 These tables allow the deposit and collection of pallets with pallet trucks. The main feature of the extra-flat table is to have a minimum folding height between 80 and 110 mm and (usually) U-shaped or E-shaped upper platform with fork access. They allow a simple and reliable integration at the end of Line being also suitable for picking the pallet with hand pallet truck without need of pit. For more information do not hesitate to contact us. We have the standard and special range. Most of the standar models have standard extras / modifications available. Otherwise, the taylor made lifting table is allways an option. Example of customizations: Rotating platform, inclinable or with translation system, lateral protections (in bellows or rollers), fixed or removable handrails, with or without access doors, with side guides, with folding nails for access of machinery, movable table on Rails, foot control. For more information do not hesitate to contact us.